One of the best & funnest parts of having a girl is doing the dress up thing. Poofy skirts, high heels, lipstick… the whole works. My daughter is all about it, too! She will be play dress up all.day.long and then strip down to her undies, run outside, and play in the dirt til dawn. I LOVE that she’s not afraid to dip into both worlds. I think it’s important to emphasize both. 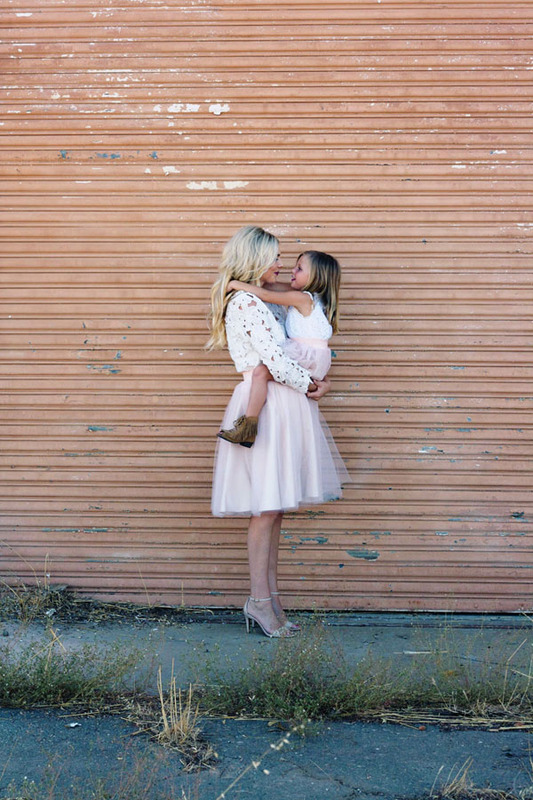 We had so much fun teaming up with Bliss Tulle for this mommy & me shoot. 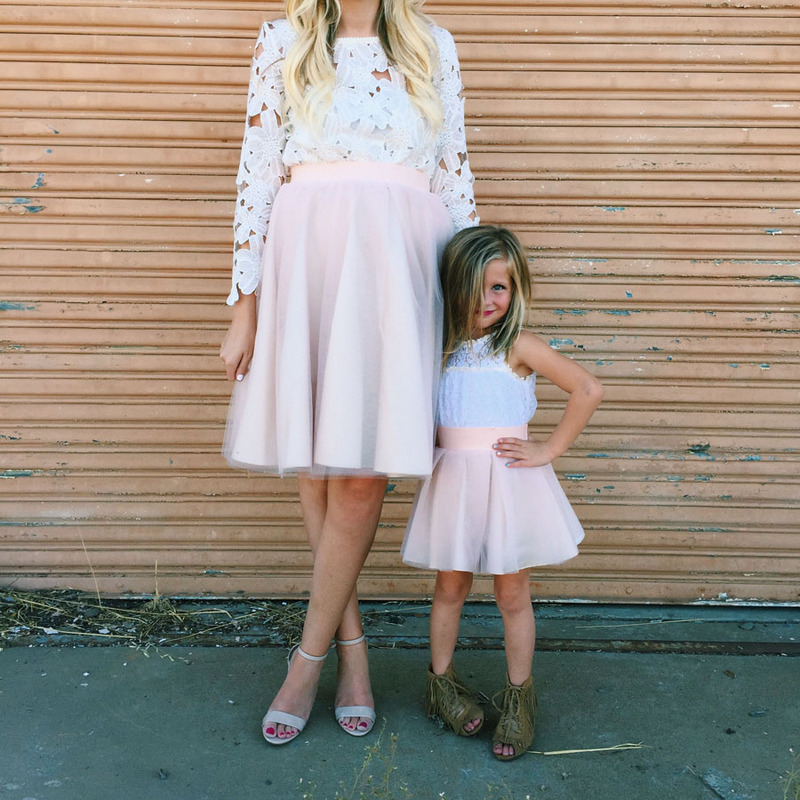 If you haven’t heard them, they sell beautiful tulle skirts for every age and height, and in just about every color too! They’re handmade in the USA and the quality is honestly amazing! 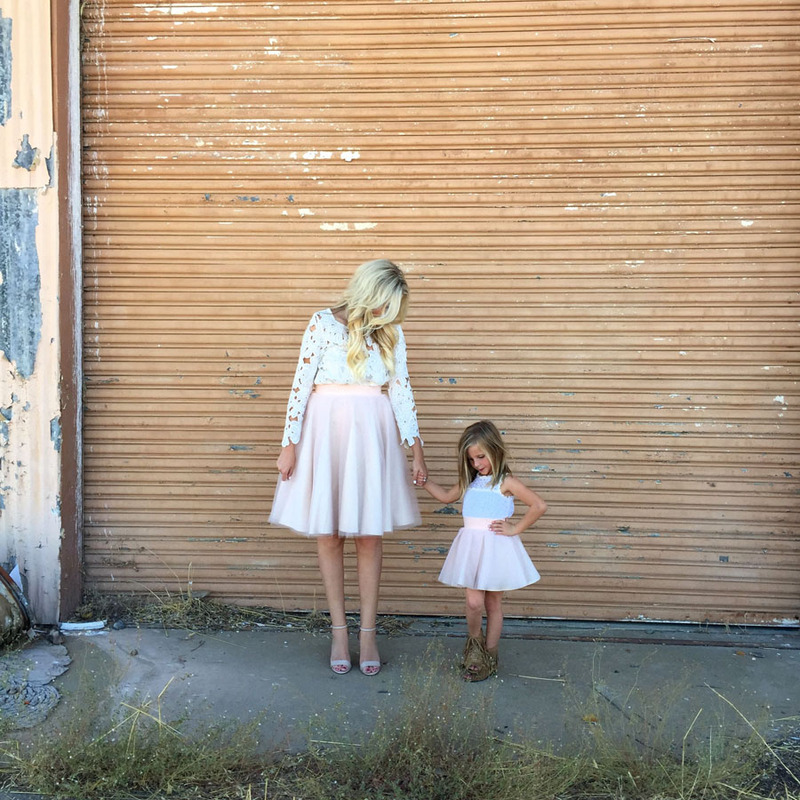 Here is the link to the skirts my daughter, Ella, and I are both wearing. 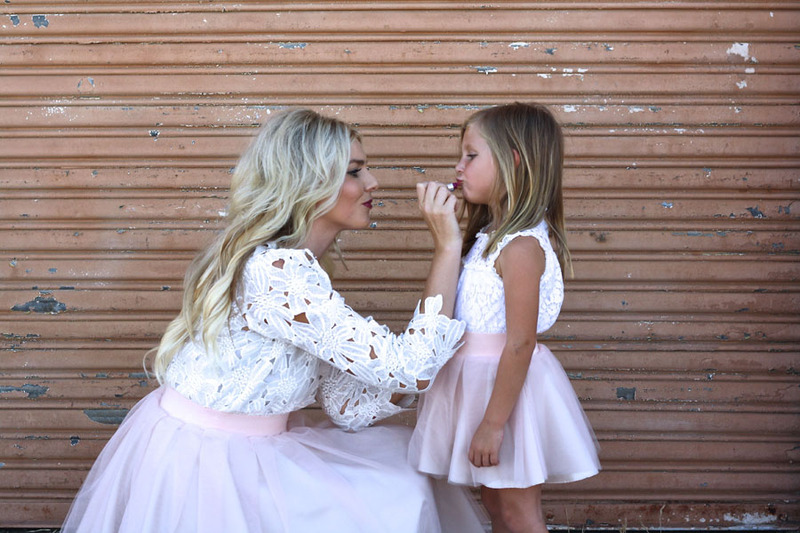 Thanks again, Bliss Tulle, for letting us play dress up and dabble in all things girly for a day. My daughter has asked to wear her new skirt every day since… Score! Just beautiful! 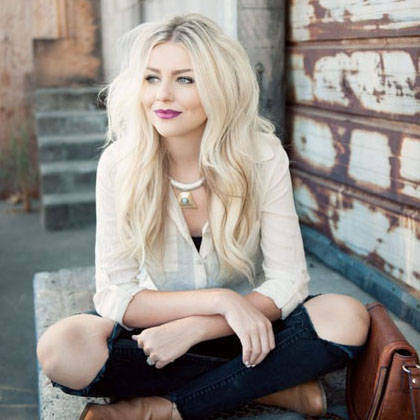 Love this type of shoot! My daughter is much the same way, I’ll find her outside playing with dinosaurs in a tutu! This shoot is seriously so adorable!! I just love it! Thanks girl! 🙂 It was a fun shoot! This is just the cutest thing ever! I have a little 15 month old who is getting sweeter and sweeter by the day, I cannot wait to do something like this with her when she is a little older! Just posted a maternity edit up on my new site, would love for you or anyone to check it out! This is so precious! Though my girls are older – I like to do the same thing! Hopefully my girlies still do to! So, pretty!